Launched in 2008, Secure Communities is an information-sharing program through which local law enforcement agencies provide federal immigration officials with access to biometric information such as fingerprints of arrestees. If cross-referencing reveals a suspect is in the United States illegally, immigration officials can issue a detainer and deport the undocumented immigrant. 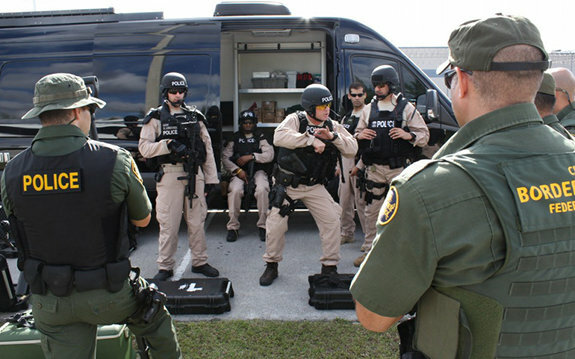 The Florida Immigrant Advocacy Center allege Secure Communities encourages racial profiling and discourages immigrants from reporting crimes or otherwise cooperating voluntarily with law enforcement. Both seem to act as weasel phrases, exploiting the ambiguity of the word “focus.” That word speaks to the agency’s intent, but it obscures the real-world effect of Secure Communities: namely, that it deports more of the “low-priority” non-criminal immigrants than it does violent criminals who rank as “high-priority” targets. The Florida Center for Investigative Reporting published an investigation on Jan. 31 that showed how these trends are even more pronounced in Florida, where only 20 percent of those deported through the program had been convicted of a violent crime. Immigrants with no criminal history accounted for 42 percent of Florida deportations through Secure Communities. But the most flagrantly misleading aspect of Secure Communities deals with the claim, first made during the program’s 2009 debut, that local jurisdiction could simply “opt out” if they weren’t comfortable sharing information with ICE. Eventually, a handful of local governments, including California’s Santa Clara County, did push back, and the e-mail records disclosed by ICE show how the agency inched away from its prior claims about the ability to opt out. A January 2010 correspondence documents how two ICE officials recommend that Rapp do away with Secure Communities’ voluntary feature. “Because of course if we adopt the ‘it’s not an option’ point of view, that certainly simplifies life, no?” wrote an ICE official whose name is redacted. In June 2010, Greenberg updated ICE’s frequently-asked-questions section, which included a revision of the phrasing related to the opt-out. Judging by the reaction of at least one ICE official, this was a common event. It wasn’t until October 2010 that federal officials acknowledged that local jurisdictions could not opt out of Secure Communities. ICE, backed by anti-immigration groups, continued to defend the program on the basis that an illegal immigrant is, by definition, a criminal and that the federal government has an obligation to deport immigrants it learns are residing in the United States illegally. 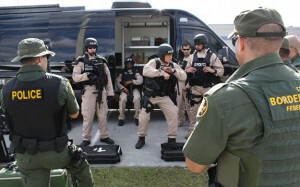 The Florida Department of Law Enforcement formalized its partnership with Secure Communities in June 2010, a period during which it was hard to discern whether local agencies could opt out or not. In its role as the custodian of identification records for all the state’s law enforcement agencies, FDLE had ample reason to obtain a clear definition of whether those agencies could opt before partnering with Secure Communities. Heather Smith, a spokesperson for FDLE, told FCIR that none of Florida’s local law enforcement agencies has requested to opt out of Secure Communities. This entry was posted in Press (Florida), Press Coverage on February 28, 2011 by Ian.